Now that you've changed your target endpoint, you're ready to add a policy to your proxy. 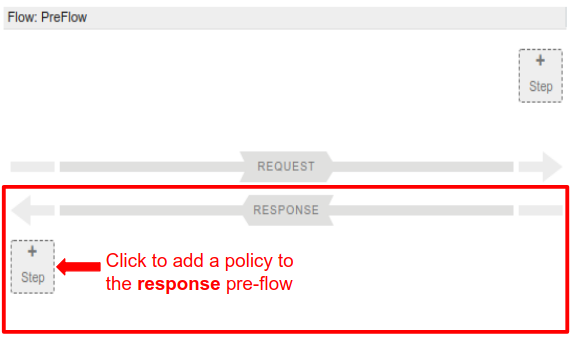 A policy is an Edge component that you can attach to different points in the message flow through your API proxies. Policies can transform message formats, enforce access control, call remote services, authorize users, examine message content for potential threats, and do much more. In this tutorial, you're going to add the XMLtoJSON policy to your proxy. This policy converts the payload of an XML message to JSON. It also changes the response's Content-Type header. For a complete list of policies, see Edge policy reference. Click API Proxies in the main window and select a proxy. 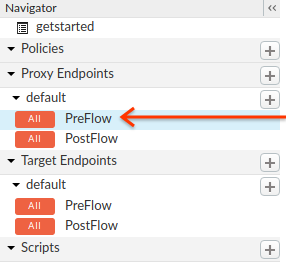 For this example, select the proxy that you created in Step 2: Create an API proxy. Edge displays the API Proxy Editor. Scroll down and select the XML to JSON policy in the Mediation category. Leave the default names, and click Add. 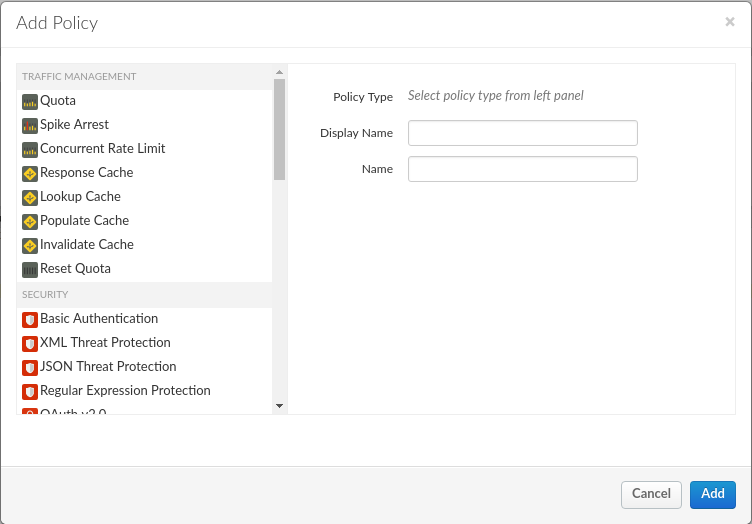 Adds the new policy under Policies in the Navigator pane. 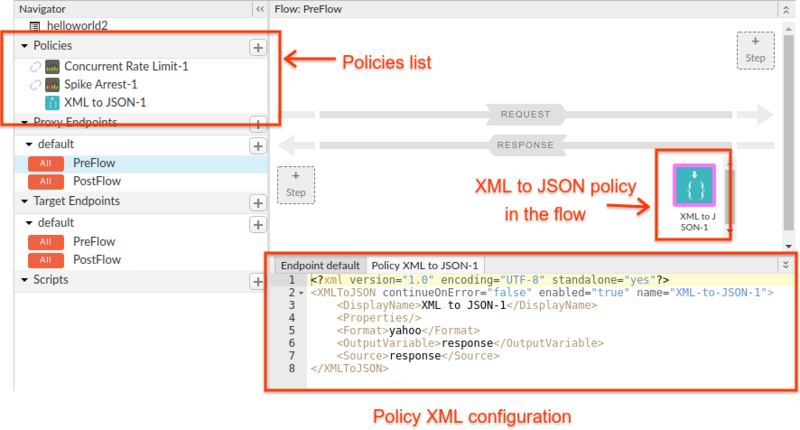 Adds the XML to JSON policy in the Flow pane. Displays the policy's configuration XML in the Code pane. Alternatively, you can open the same URL in a browser. You've successfully added the XML to JSON policy to your new proxy! If you get "Hello, Guest!" as a response, then you need to append "/xml" to the end of the target endpoint. If you get a 404, then check that you are accessing "apigee.net" and not "apigee.com". The latest revision of your proxy is deployed. Try re-deploying your API proxy as described in Deploying and undeploying an API proxy. You should get a response that looks like the following. Note that the Content-Type header in the response is "application/json". The XML to JSON policy changes the header before sending the response back.